Anyone who has worked in the classroom for any period of time has experienced a difficult child that has challenged them. The challenge could be a direct threat, a questioning of authority, even an attempt at turning the children against the teacher. These moments can be very discouraging, disempowering, and even humiliating if you don't have a plan for dealing with these challenging children and situations. 1. Try very hard not to hold grudges. Your children are very forgiving and will often come back the next acting as if you'd never feuded. Take them up on that opportunity and leave yesterday's baggage behind. 2. Take a deep breath. Remember, it's not personal. That challenging student would be showing this behavior to any teacher in front of the classroom. You just happen to the be lucky recipient. A deep breath can help you subdue your ego just enough to deal with the situation in a less emotional manner. 3. Send the difficult child to another classroom. Too many educators use the office as their main form of discipline. This is a self-defeating tool. Children will learn that if they want to get out of your class, they can just act out and you'll oblige them by sending them out! Instead, form alliances with nearby educators. When you are having difficulty with a student, tell them to go to that teacher's class. I recommend they stay there for the duration of your class. The next day, act as if nothing happened. Move forward. 4. Repeat your directions (while maintaining eye contact). 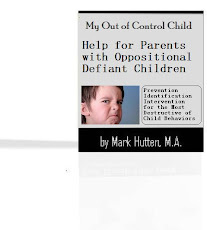 This will allow the difficult child another chance at complying with your request. 5. Maintain eye contact with the student presenting the challenge. Occasionally this requires you to move in order to meet this child's eyes. 6. Joke with your children. Laughter helps the brain grow and stimulates learning. 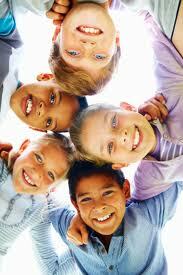 Take the chance to share a laugh with your children whenever possible. 7. Implement a positive-reinforcement behavior management system and reinforce appropriate behavior often. Reward for good behavior, ignore (if possible) bad behavior. 8. Explain the consequences for a child's immediate behavior. Use "if...then" statements to explain what will happen. Follow through with your consequences. 9. Establish and post your classroom rules. Teach the children exactly what you expect and remind them of your expectations before problems arise. 10. Avoid arguing. Many of these challenging children are all too used to arguments. That is the style of communication they hear most often at home. Don't feed into the argument. State your request calmly. Ask if he or she understood your request. And state, "This is not a discussion." 11. Allow children a choice. "You can sit down, or you can sit out of recess."